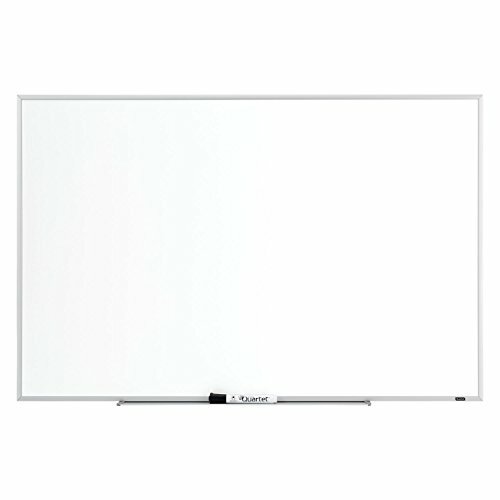 Create to-do lists and reminders with this versatile 2’ x 3’ dry-erase board. The melamine dry-erase surface makes writing and clean-up easy. The stylish aluminum finish frame looks great in any light use, small or home office. Comes with versatile marker tray that mounts to either side of the board. Board mounts horizontally or vertically with enclosed Z-bracket mounting system. Comes with dry-eraser marker with built-in eraser cap.